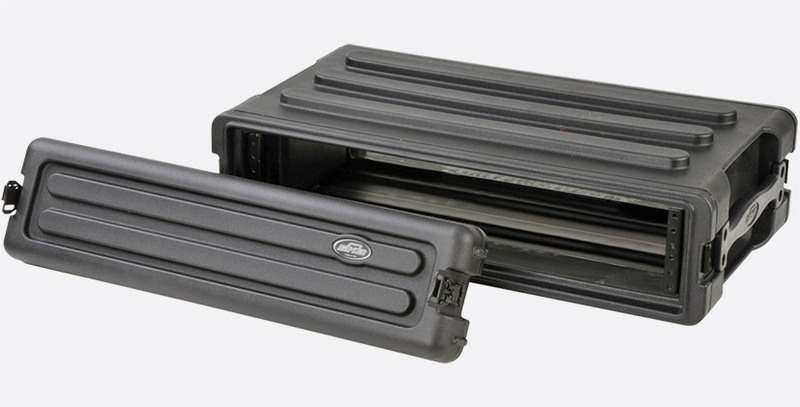 SKB Roto Shallow Racks differ in size but are otherwise similar to SKB Roto Rack Cases. They are rotationally moulded for improved strength and durability, with front and rear removable panels fitted with water resistant gaskets. 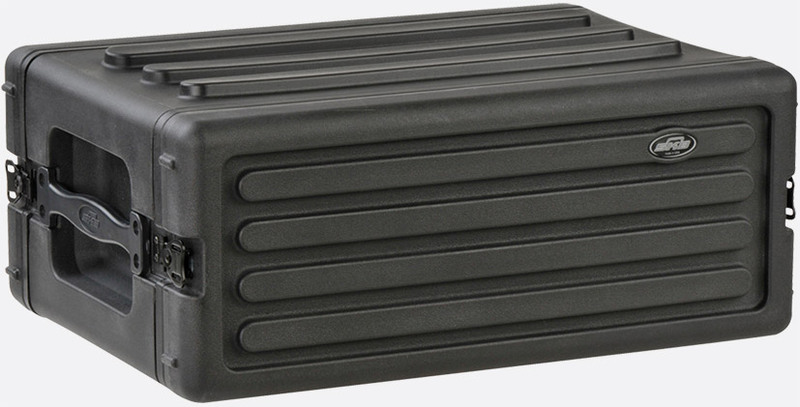 Front and rear covers are secured using recessed steel, Mil-Spec black twist-latches. They also have a 'bar design' which signifies the rack size, in units, of each case, 2 ribs equates to 2U, 4 ribs 4U and so on. 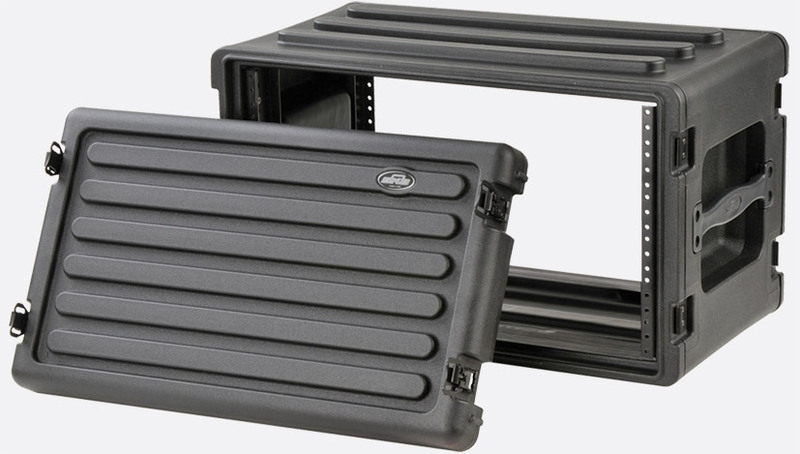 A series of interlocking ribs enable stacking with other SKB Roto Racks and Roto Shallow Racks. Two heavy-duty handles are mounted flush with the sides of the case to prevent 'snagging' during transportation. 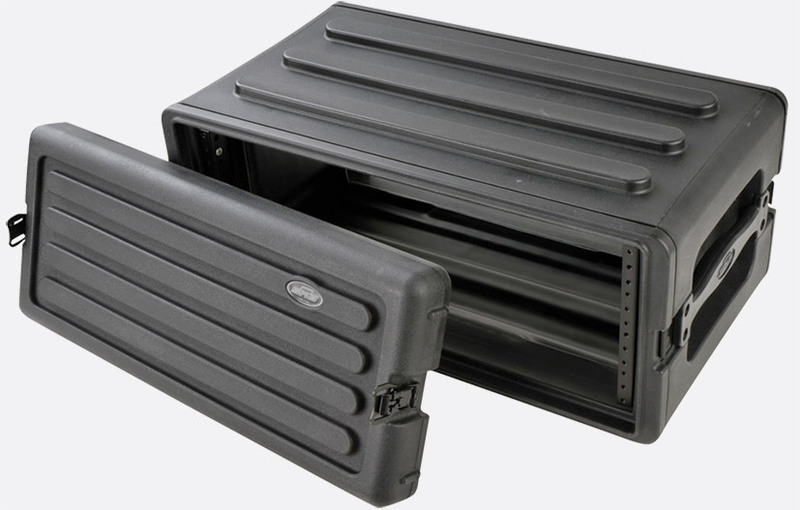 Rackmount hardware (rack strip) is fitted to the front and rear of the case. 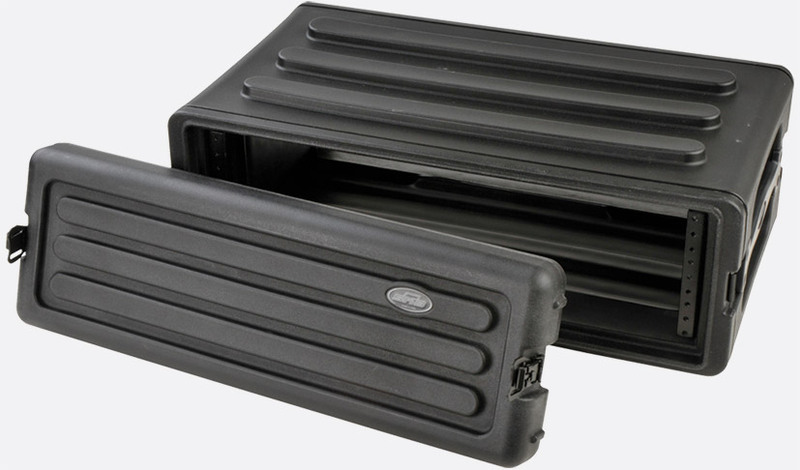 Optional accessories: SKB 1SKB-RCB 4-Caster Board, sold separately; 15-6849. Ordering note: 'SKB brand hardshell cases are fully warranted against defects in materials and craftsmanship for the life of the case to the original owner. That means, if your case breaks, SKB will supply replacement parts, repair the case, or replace your case for as long as you own it. Proof of Purchase is required for all warranty claims'. 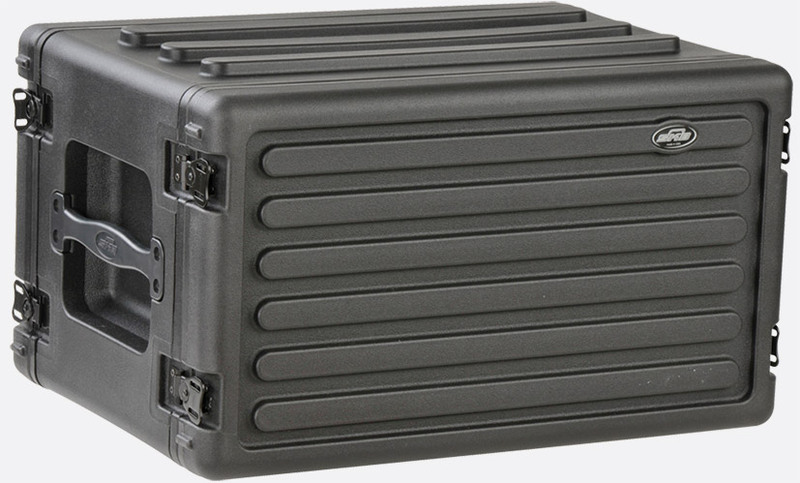 For more details see www.skbcases.com.